On the first Saturday of each month, thousands of visitors converge on High Street in the Short North Arts District for Gallery Hop. Though many shops and galleries are open earlier, Gallery Hop officially starts at 4:00pm and runs to 10:00pm, with restaurants and bars staying open considerably later. With dozens of galleries and non-traditional exhibit spaces, it’s Columbus’ favorite night of the month to celebrate art. Hop til you drop this Saturday, July 7 and check out the amazing new artwork exhibiting at galleries and businesses all month long. See the full Gallery & Art Guide Here. 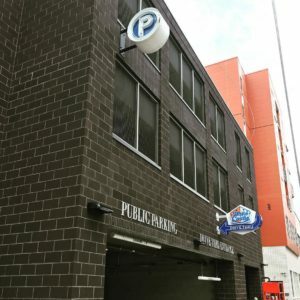 Click here for our Parking & Transit information, as well as our Dining Guide, Shopping Guide, and Services Guide. 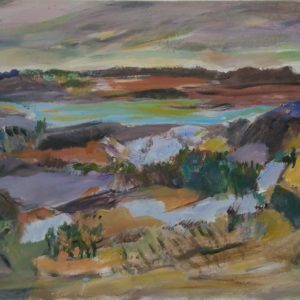 Brandt-Roberts Galleries will feature a selection of newly acquired historic landscapes by various artists, including former Ohio State Professor Robert King and Swedish artist Hugo Ofverstrom. The landscapes range from Ohio and New England to European harbors. Hammond Harkins Galleries will continue to feature Amorphoids by Stephanie Lüning, on view through July 22. Lindsay Gallery will feature Modern Madonna to explore how each of us possesses a unique take on gender that informs our actions as individuals and as a culture. Artist and curator Robert Falcone gave 10 artists carte blanche to represent the modern woman as contemporary icon. 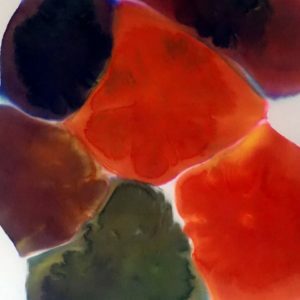 This is Lindsay Gallery’s annual fundraiser for Annie’s Fund for the Creative Arts, a foundation formed by Falcone in honor of his late wife Anne P. Miller. Artists include: Alison Chism, Robert Falcone, Amber Groome, Mike Jones, Lisa McLymont, Bill Miller, Joey Monsoon, Kate Morgan, Ashley Pierce, and Roger Williams. Chas Ray Krider will present his own Modern Madonna in a live tableaux reflective of his highly stylized photographs. 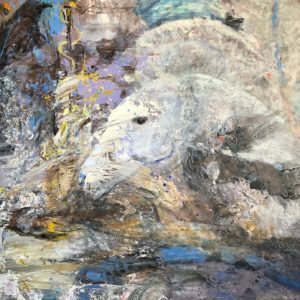 Marcia Evans Gallery will continue to feature abstract artists Tommaso Ciaffoncini, Barbara Mink, Jesse Mireles, and Annette Poitau in Summer Show of Abstracts III. The show will run through August 28. 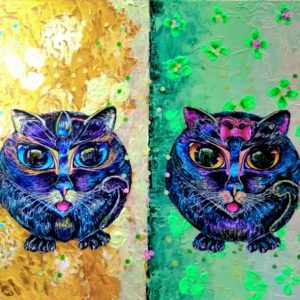 Sean Christopher Gallery Ohio will feature and introduce Columbus artist and Ecuador native Jose Bastidas to the Short North Arts District with a solo exhibition of his magical mixed media paintings dedicated to the support and care of Columbus’ homeless and loveless felines. The opening reception for Bastidas’ Glimmers of Hopes will be held during the July Gallery Hop from 6:00pm – 10:00pm and is open to the public for free. Sharon Weiss Gallery will feature a Salon exhibit of gallery artists for the July Gallery Hop. Head over to watch the artists paint in-store. 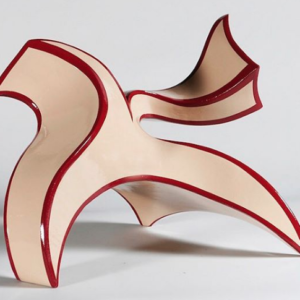 Sherrie Gallerie will continue to feature sculptures by Luke Achterberg. Achterberg explores the subcultures of Americana found in hot-rodding, graffiti, and street art—all of which display extremely high technical skills developed outside of academia. Working to overturn the standardization of mass production, he is continually playing with balance, both physical and aesthetic, to create a pronounced visual sleekness. Sherrie Gallerie will also feature ceramic artist Brian Malnassy during the July Gallery Hop. Malnassy uses volcanic surfaces to explore themes of loss and growth. Stop in the gallery July 7 from 5:00pm – 8:00pm to meet the artist. 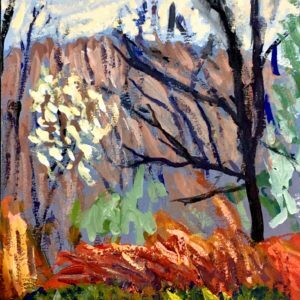 Studios on High Gallery will feature work by Impressionist painter Brian Johnston, who won the Best of Show Award in the Gallery’s Fall 2017 Hit the Hop Juried Exhibition. This exhibit is part of Studios on High’s ongoing commitment to Central Ohio artists. 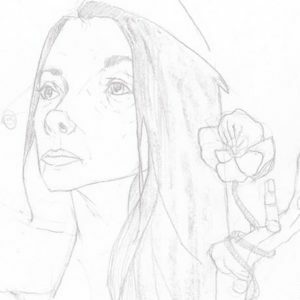 Gallery Denmark at Denmark on High will feature a series of related pieces titled 7 by Devon Albeit. Originally created for her senior thesis at The College of Wooster, Albeit presents the series as an interpretation of the static human condition in an ever-changing society. 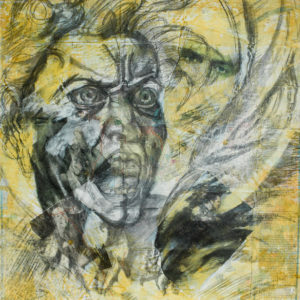 Combining her own experiences and observations with themes from various historical and spiritual works, such as those by Dante Alighieri and philosopher Thomas Hobbes, Albeit created these mixed-medium collages to be loosely organized around each of the Catholic Church’s Seven Deadly Sins. Her work explores and reflects the relationship between moral judgement and the secularization of religious beliefs. Though somewhat autobiographical, it is also universally accessible and encourages active viewer participation and reflection due to the interaction of several layers of meaning, from the history and identity of the individual components to the viewer’s overall interpretation. Now, 15 years after completing 7, Albeit is a local photographer who is passionate about working with families to capture and preserve daily life and candid interactions using a photojournalistic approach. 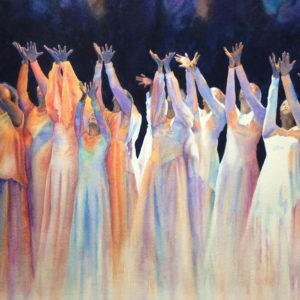 Through the use of a different medium, her work remains reflective and honest, as does her desire to build connections and collectively make meaning of the human condition. Global Gifts is excited to host the World Peaces Trunk Show at the July Gallery Hop! Two of World Peaces’ most popular lines will be featured: Reclaimed metal jewelry from the Sobo Sehloho organization in Lesotho, South Africa and hand-worked vegetable tanned sheepskin clutches made by women artisans in West Africa. Both lines are 100% Fair Trade, handmade, and design-forward. 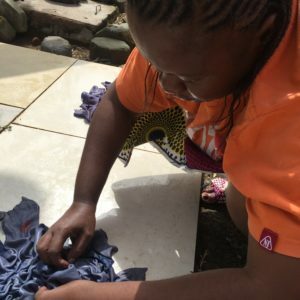 Stop by for unique goods that DO good and sign up for a chance to win a recycled paper and clay bead jewelry set from Imani Workshops of Kenya. Fair Trade coffee and treat samples will be available! 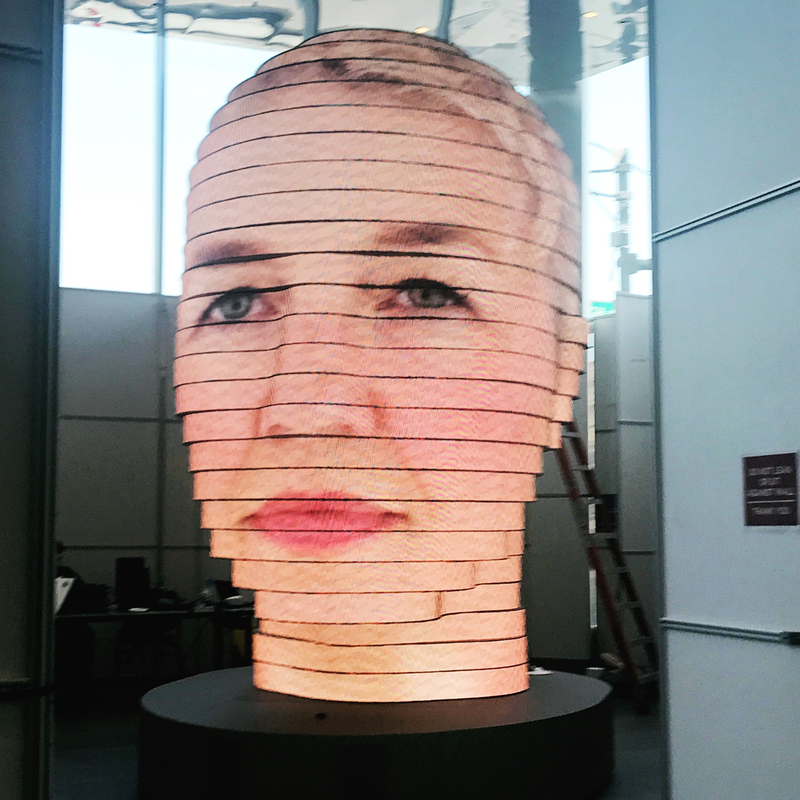 Local watercolor artist Suzanne Accetta and dramatic metal sculptor Chris Itsell will be displayed through the end of July in the First Commonwealth Bank lobby. 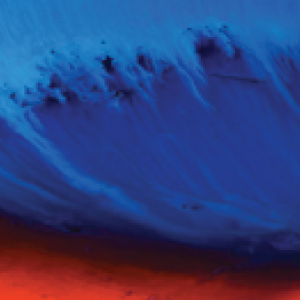 Stop by from 6:00pm to 9:00pm during Gallery Hop to meet the artists and enjoy their stunning and unique artwork. Light refreshments will be served. Hilton Columbus Downtown will feature new work from Randall Lagro as represented by Muse Gallery. 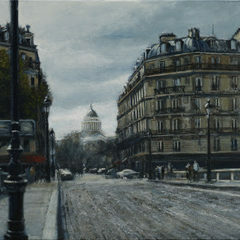 Gallerist Caren Peterson will be at the hotel during Gallery Hop to talk about the works. 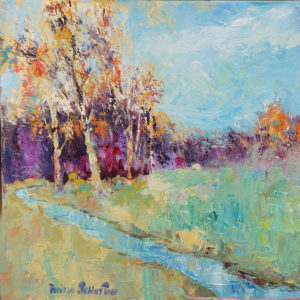 Pies & Pints will feature Julian Cennamo, a contemporary landscape painter and collage artist. He has exhibited with the Ohio Art League and Georgian Museum. Cennamo is a graduate of the Columbus College of Art and Design, has served as President of Canal Winchester Art Guild, and is also a veteran employee of the Columbus Museum of Art. Every day, some of Ohio’s most talented and motivated walk through Pursuit‘s door to be outfitted for their biggest moments. 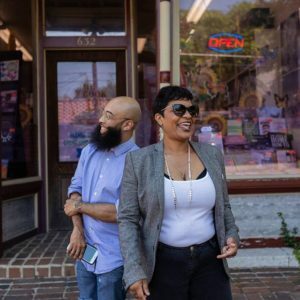 Pursuit is excited to spotlight that talent by giving them their in-store stage for season two of their concert series, “In Pursuit.” Season 2 features a special collaborative experience between Dominique Larue with Tha Audio Unit and special guests during Gallery Hop from 7:00pm – 9:00pm. The ‘In Pursuit’ Concert Series is a FREE, unique in-store music experience! 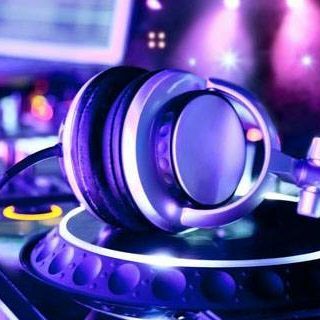 Every Gallery Hop, Skully’s Music-Diner hosts Get Right with DJ Tron, a 21+ EDM/Trap/Hip-Hop dance party. Event begins at 10:00pm and there is a $5.00 cover charge until midnight. Dress code enforced. Stop by White Castle for their grand re-opening of during the July 2018 Gallery Hop. Grab a bite to eat, listen to a live band and DJ, and get the chance to win some giveaway items! The party is from 5:00pm – 8:00pm, so be sure to head over early!